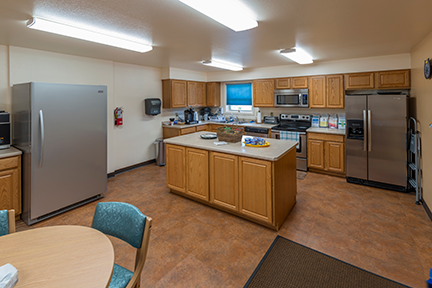 The Health Solutions Crisis Living Room offers guests a non-clinical, calm and safe environment for adults experiencing a behavioral, emotional, or psychiatric crisis. This person-centered facility is open 24 hours a day, seven days a week. Staffed by peer specialists with personal experience in managing the challenges of mental illness, the Living Room allows individuals to receive intervention, support, and mentoring. 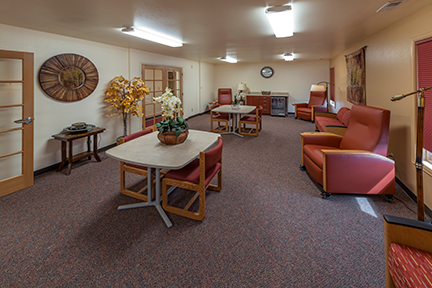 Unlike hospital emergency rooms, the Living Room offers immediate care with no waiting room. A safe place to rest and relax, the Living Room is based on recovery principles of autonomy, respect, hope, empowerment, and social inclusion. The staff from the Crisis Living Room is available immediately for individuals looking for a safe place in which to collect their thoughts and/or talk to someone about issues that are aggravating behavioral health issues they may be facing. The calm and relaxing environment of the Living room allows individuals time to de-escalate impending behavioral health crises, develop safety plans, and teach coping skills. Our Peer Specialists can help connect individuals with community resources regarding emergency housing, healthcare, food and mental health services.